In 2006 when the HBO show Big Love premiered I turned to my wife and said “The next taboo to fall will be polygamy”. While appearing somewhat normal and acceptable the show pushed the boundaries of the Mormon story line and kept it off the main road. I explained the process of the pushing the envelope far into one direction and slowly letting it settle at various points before reaching middle ground. 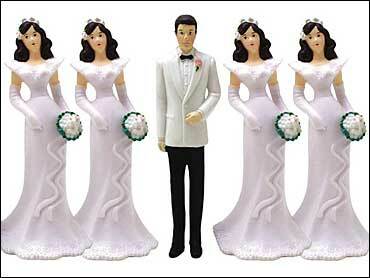 Returning to the practice of polygamy for this degraded society would be a middle ground. She was incredulous and didn’t believe I was right. In October of 2007 Lisa Ling did a report for the Oprah Winfrey Show about Polygamy in America where even though it was stated that “Even though polygamy is illegal in America, experts say there are 30,000 to 50,000 people living in plural families across the country.” For the next hour couples came on to explain their unconventional (that’s the buzz word used) families. 7.8 million viewers were indoctrinated into seeing this forbidden practice differently. 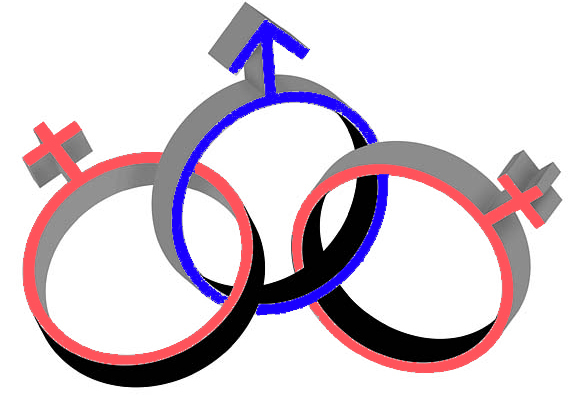 And, while they did include those who opposed the practice or had come out of it, the naysayers did nothing to alter the positive perspective of the couples willing to “come out” of the marital closet. Then, the TLC reality show Sister Wives (From their unconventional family structure and living arrangements to financial challenges, each half hour episode exposes the inner workings of a polygamist household, revealing the unexpectedly tight-knit and loving relationships between Kody’s wives. )came along and I reminded her of what I said in 2006. This show was now trying to show “normal” people in our society who, while unconventional in their family structure, were not much different from everyone else. She was less vehement about her disbelief but still not buying it. In October of 2011 Lisa Ling did another show on the topic, Our America with Lisa Ling – “Modern Polygamy” a New Perspective on an Old Taboo, presenting a story of poster families and individuals the community WANTS us to see. With the backing of Oprah and the financial advertising push behind her she set out to change minds. “In the case of the polygamists, so many of us go in with preconceived ideas – “I certainly thought it was a culture in which men dictated everything, but the compound I visited was exactly the opposite. When you go into a story with the goal of keeping an open mind, it allows you to have that much more of an experience.” While watching Good Morning America when Lisa Ling was promoting her show I was astounded to hear her say she understood the appeal and was a lot more positive about it then she had been. Drip drip drip….slow..insidious media deception and indoctrination…. And now this week, popular television interviewer Anderson Cooper brings the topic back into the spotlight on his new show. The topic – Polygamy Dating Sites for those looking to bring a second wife into the relationship. Look at the promotional approach – Plus, what would you do if your husband came to you and said he wanted to bring another woman into your marriage… that he wanted a polygamous arrangement? Anderson investigates new online dating websites that cater to people who want to start polygamous relationships. Meet one couple (with five children) looking to add a second wife to their existing family. Should this kind of dating service be allowed? On the show, the couple meets a potential sister wife in person for the first time. Start the conversation now: Would you ever take or become a sister wife? Are there benefits? Tweet using #Anderson, #SisterWife. The question isn’t are the detriments or downfalls but “Are there benefits?” How you word a question is usually the direction you want the answer to go. I think the answer to what the intent was can be found by this one comment after the show was aired – “There is a huge difference between being in a religious organization and being taught your whole life that this is what you will do because you are told it is your duty. To me there is no choice in that situation, only forced beliefs and people who have not had the benefit of knowing anything else – no choice. To any women or man in that situation I would say leave – it is not healthy for anyone involved. This is different – these are grown adults discussing an idea of how they would like a relationship to be, maturely, with all parties making conscientious choices to engage in it after much forethought. Seems to me that they are approaching it in an emotionally mature manner. Many traditional relationships today fall apart because of no support, no communication etc. and the kids get left in the dust. Any kind of relationship breakdown has a devastating effect on children so I don’t agree with many of the ‘how it will affect the children’ comments. Divorce is increasing at an alarmingly high rate today. How long before these young, hip, exciting couples take their legal fight to the courts for health benefits to the sister wives? 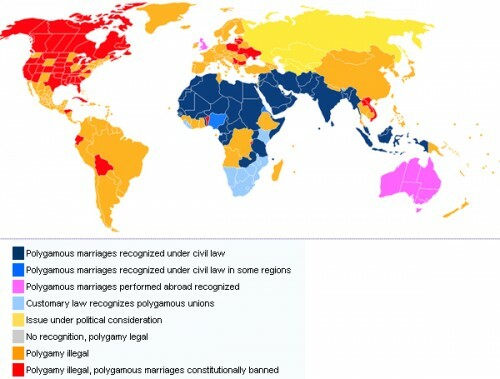 If the courts are giving those rights to domestic partners in Gay Marriages or, in some states, legalizing what was once illegal and frowned on by society how long before the courts and legislatures have to repeal the 1862 Morrill Anti-Bigamy Act outlawing polygamy that Abraham Lincoln put into place? With the headlong push to accept and assimilate the Muslim faith and culture into our society how long before they demand the right to have two, three or four wives as long as they are able to deal justly with them as it states in their law (ie chapter 4 of d holy quran verse 3)? Since it’s now quietly accepted in Muslim societies for husband’s to chose to exercise his entitlement of polygamy how long before it is accepted here if this trend is not slowed? Now it came to pass, when men began to multiply on the face of the earth, and daughters were born to them, 2 that the sons of God saw the daughters of men, that they were beautiful; and they took wives for themselves of all whom they chose. (emphasis mine). The fallen angels inspired this practice and instructed into every society in which they ruled, in my opinion. If the Days of Noah are truly coming back as the Lord stated in Matthew 24:37 and Luke 17:26 wouldn’t the rulers of those days want things as they were? And, we know how that turned out! As this societal trend plays out we will definitely leave the LIGHT on for you to see what needs to be seen! You may repost only in its entirety and with proper identification of the source. This entry was posted in Christian, End Times, Media, Prophecy, Superantural, Uncategorized and tagged Big Love, end times, fallen angels, media manipulation, polyamory, Polygamy, Sister Wives. Bookmark the permalink.